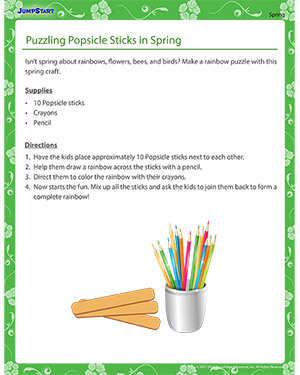 How about making a spring-themed puzzle from a bunch of Popsicle sticks? Make this craft that screams of spring and help kids practice their critical thinking power while solving the puzzle. Check out all our educational resources for spring to engage the kids in meaningful activities during their spring break.